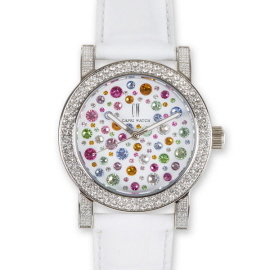 A very distinctive dial, which has become an international icon of elegance. 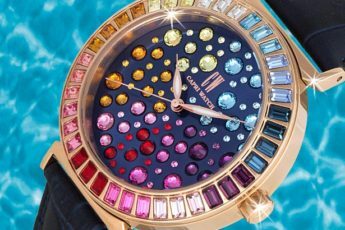 Stylish bezel. 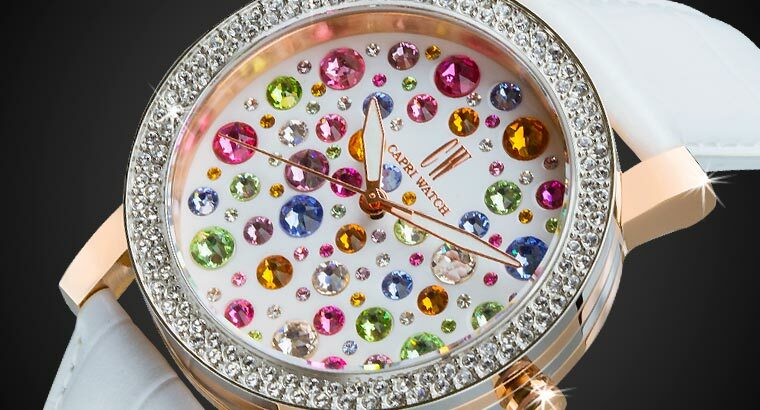 Sparkling Swarovski crystals reflecting the colours of Capri Island, to which the MultiJoy Collection is inspired. The bright blue of the island’s waters. The vivid green of its luxuriant vegetation. The lively red of its breathtaking sunsets. 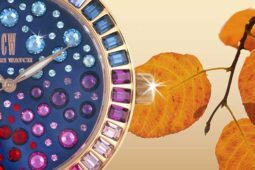 The MultiJoy Collection celebrates life and joie de vivre, which it conveys in a very unique and elegant way. 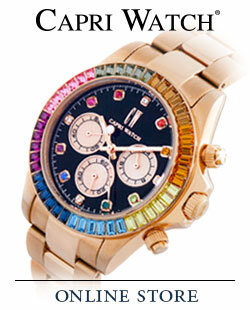 This collection sort of represents Capri Watch’s style and idea of feminine beauty. And it does so through a variety of different models, each one of them charaterised by its own peculiar features, yet expressing the brand’s distinctive identity. MultJoy Classic (art. 4906), a kind of forefather of the whole collection. 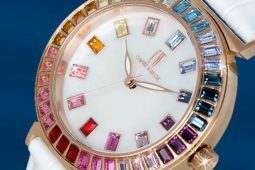 A two-tone iron case supporting a pavé bezel and the multicoloured dial, either of them featuring the finest Swarovski crystals. Definitely a fancy object, fitting both elegant and informal dress codes. Rocks MultiJoy Pavé Silver Rosè (art. 5310). 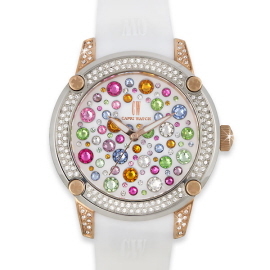 Very peculiar, two-tone bezel and case, the former featuring a flowery decoration and white Swarovski crystals, which go to enrich the dial in a variety of joyful tones. 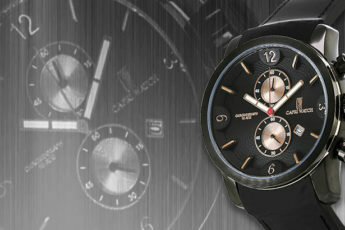 This model adds a casual touch to its elegant character, thanks to the silicone rubber band. 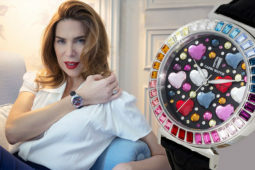 Paola MultiJoy Pavè (art. 5276). Chic, the right word to describe it. 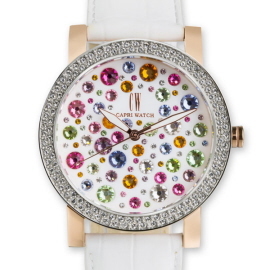 A white leather band emphasising the beauty of the case and bezel, which are entirely covered with white Swarovski crystals and support the very distinctive muticoloured dial, Capri Watch’s trademark. 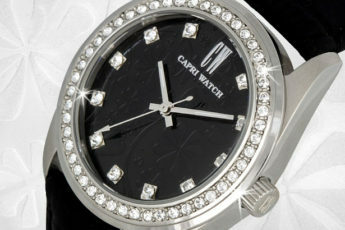 Take a look at our website (capricapri.com) to know more about our beautiful creations.